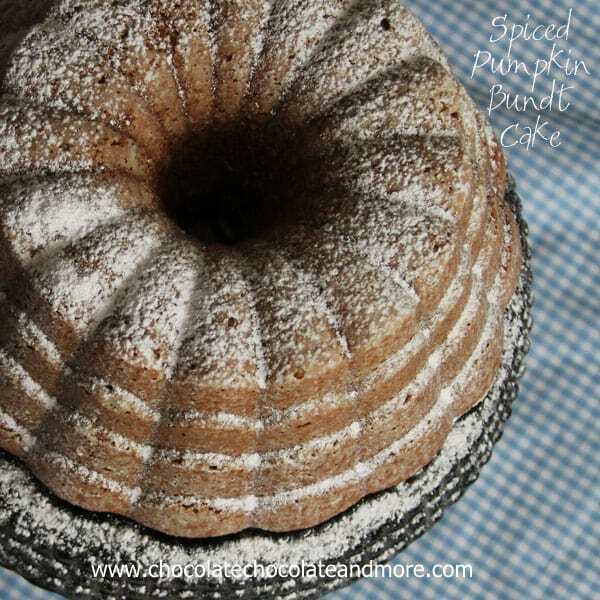 Spiced Pumpkin Bundt Cake - Chocolate Chocolate and More! 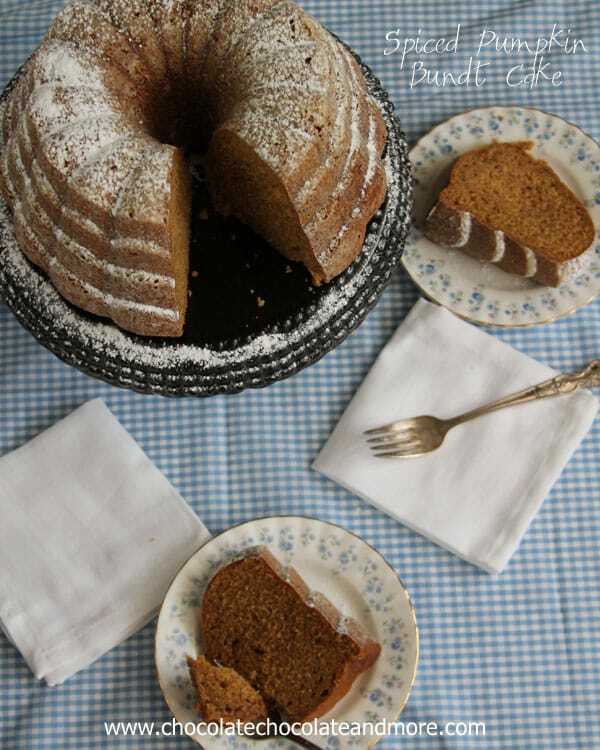 Spiced Pumpkin Bundt Cake-the blend of spices and pumpkin come together to create this flavorful cake! I know summer’s not quite over yet. It might be a tad bit early for traditionally fall treats. Pumpkin, apples, Candy Corn. Would it help if I told you’ve I’ve been saving this recipe for over 4 months to share? Spring is a time for spring cleaning. For me, that means cleaning out the pantry as well as the kids’ closets. Making sure everything still fits, is usable. Getting the older stuff to the front or out of there completely. It’s the same with canned goods. A sale on peanut butter, and I’ll buy 4 jars. Don’t judge but when there’s a sale on the canned chicken noodle soup, I can fill an entire shelf with it. My kids love it and will eat it as an after school snack. It was no surprise to find 2 cans of pumpkin hidden in the back of the cabinet when I cleared everything out in April. Everyone else is thinking summer and cool treats. All I can think about is a pumpkin cake. I’m not a big pumpkin fan. This is no secret. I don’t know that’ I’ll ever be comfortable eating a slice of just plain pumpkin pie. Part of it’s the texture thing. I don’t do Flans either. Give me cake. 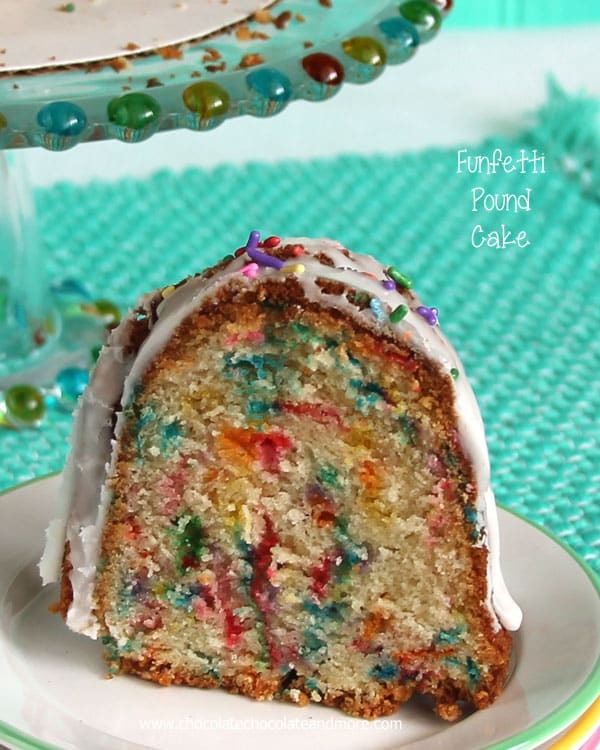 You can never go wrong with a cake. 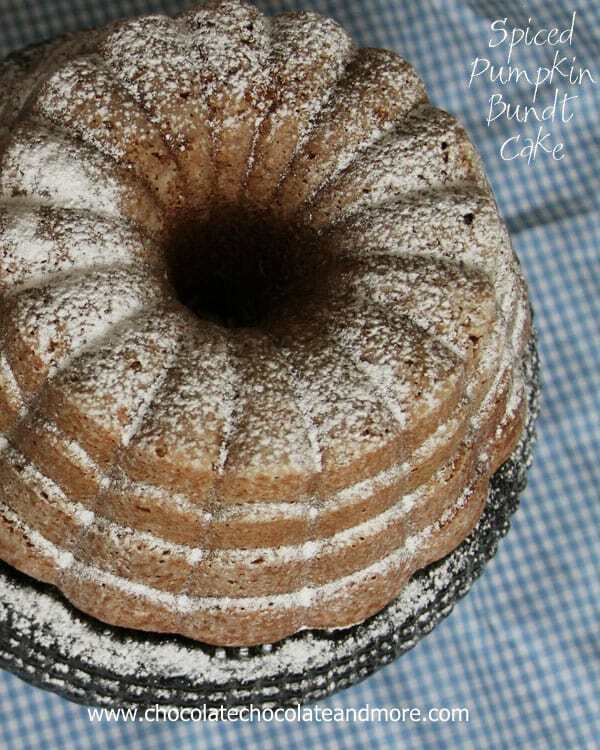 Make it a flavorful, doesn’t need icing bundt cake and I’ll eat it all day long. My family fell in love with this cake. The blend of ginger, cinnamon and nutmeg come together to enhance the subtle pumpkin background. My picky eater was won over with this one. Even knowing the base was pumpkin. Preheat oven to 350 degrees. Grease and flour an 11 cup (or larger) bundt pan. Combine flour, baking powder, baking soda, salt and spices, set aside. In a mixing bowl cream butter and brown sugar together until fluffy on medium speed. Add in eggs, one at a time, mixing well after each addition. Alternating between flour mixture and buttermilk, starting and ending with flour, add in both, mixing well after each addition. Mix in Pumpkin. 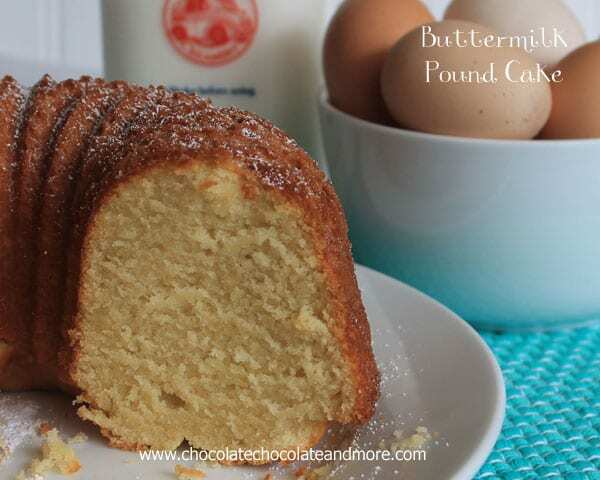 Spoon batter into prepared bundt pan, Bake for 50-55 minutes. Test for doneness using a toothpick. Let cake rest on a cooling rack in pan for 30 minutes before turning out onto rack to cool completely. 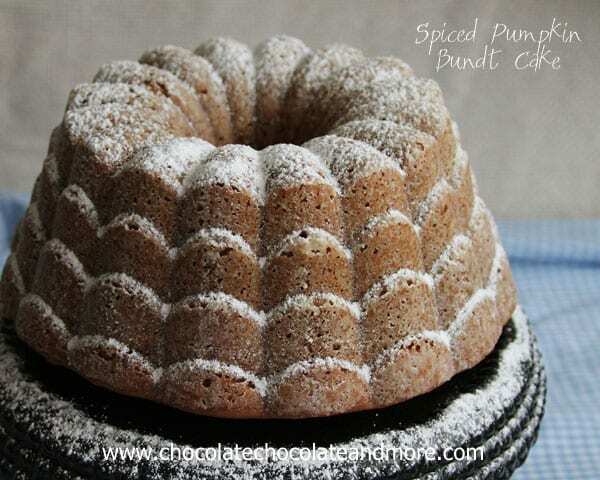 I love bundt cakes! 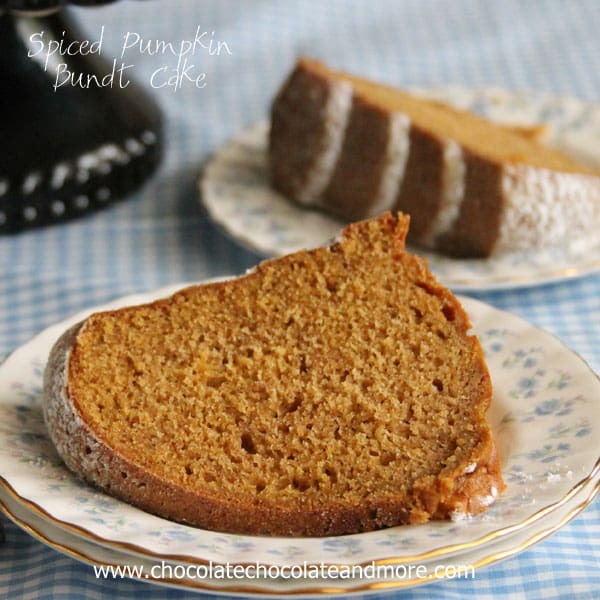 This spiced pumpkin version is right up my alley! 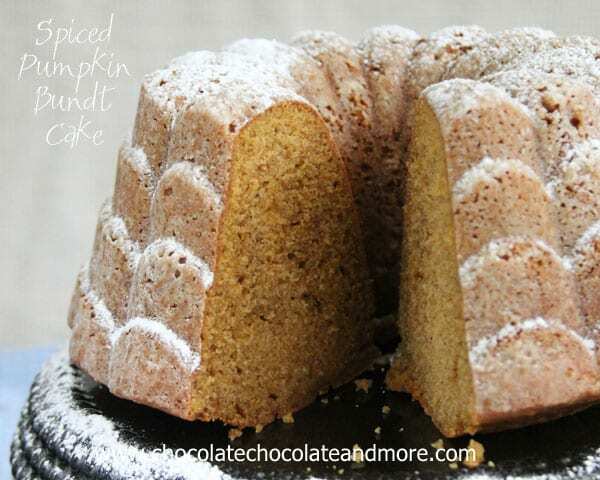 I’m the same way with pumpkin pie, but I would gladly go for a piece of pumpkin cake! My goodness, that cake looks gorgeous! I love the pan you used too. 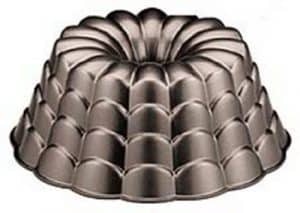 Bundt cakes are the best. I love to wrap up a big piece and take it to work with me. Good for the kids’ lunchbox too! This looks yummy! Definitely will be making this around Halloween/Thanksgiving/Christmas. Also I’m ordering that bundt pan as well. Love your recipes. It’s 1 cup of Pumpkin Puree. I am SO ready for all the Fall recipes! 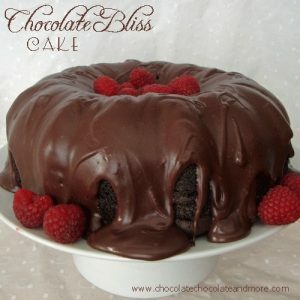 This cake is gorgeous!! Me too, and the cooler fall weather! 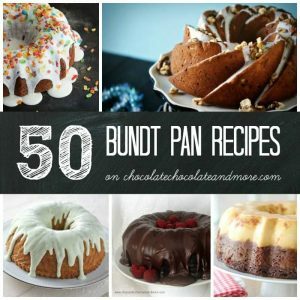 If you do not have a bundt pan would a 9X13 pan work? Joan – this sounds wonderful! 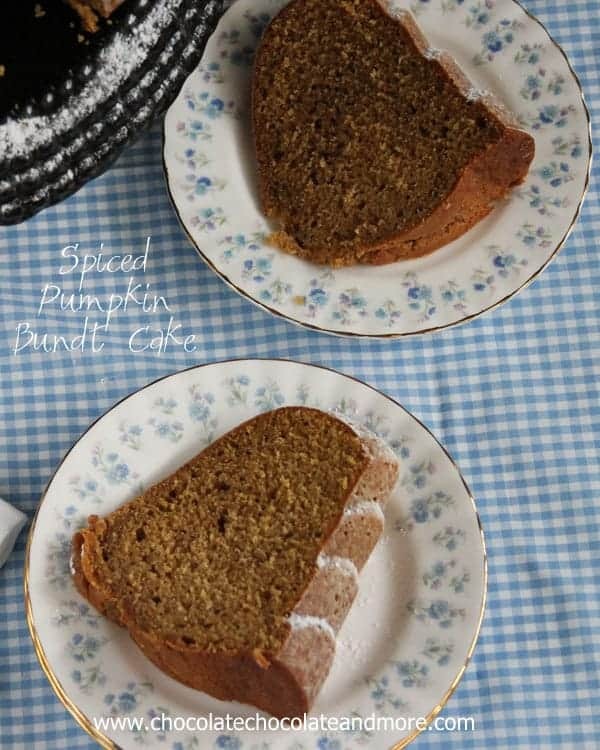 I am with you on eating pumpkin pie – I don’t care for it but I do like pumpkin cake or breads or even lattes! We used to live in GA – but not a small town a suburb of Atlanta. My in laws live in a small town down in south GA. So glad to have found your recipe – can’t wait to try it and I think I have all of the ingredients as I just bought 2 cans of pumpkin the other day. YUM! So pretty & I bet delicious too! I’m featuring your gorgeous cake in my Friday Features this week. Thanks for linking up to Inspire Me Monday. 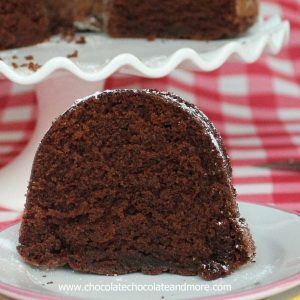 I don’t have cake flour, how much all purpose flour can i use to substitute for the cake flour? 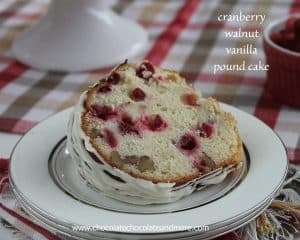 You an substitute cake flour with 1 cup of all purpose flour with 2 tablespoons removed and replaced with 2 tablespoons of cornstarch. You’ll want to sift this a few times to fully incorporate the cornstarch. I made this yesterday for a Church Bake Sale. Can’t wait to see who buys it to get their feedback on just how awesome it was! The raw batter was delicious (yes, I eat raw cake batter). The recipe was very easy to follow and it baked up nice and even, no ‘hump’ in the cake as so often bundt cakes have. I may even make this for Thanksgiving dessert.